Cabins, cottages and fully equipped RV units. Outstanding RV Park!! Exceptionally well maintained and probably the cleanest park we've ever stayed in. The staff is very friendly and welcoming.Our site was wonderfully wide and freshly raked. if you are looking for a park where you can relax and truly enjoy the experience this is the park for you. very quiet and peaceful. Other campers we met there tell us they come back every year because it is always clean and quiet hours are enforced. They pick up trash & recycle every evening. The Rec hall is well appointed and there are plenty of games both adults and children can enjoy for free! Very unique, someone has put a lot of time and love into this campground. Wish we could give them a 10 for the restrooms. There were quartz vanity tops, residential style shower stalls with dressing rooms and quaint lodge style shower curtains that gave it a nice touch. The Wifi was a little weak a few times but it didn't bother us at all. We will definitely be back again. Don't miss The Silo for lunch Try their White Forest Sandwich, and the Barnsider has good BBQ. skip The Log Jam and all the advertising they do. We ate there last year and found the service and the food to be poor, But decided give them another try this year, service was much better but food just ok, not worth the prices they charged. Clean attractive family owned and operated RV park. Shows their pride of ownership. The park is in a forested area with no satellite reception. There is road noise from the busy Hwy 149, but we would stay there again. Overall it is a nice quiet park. 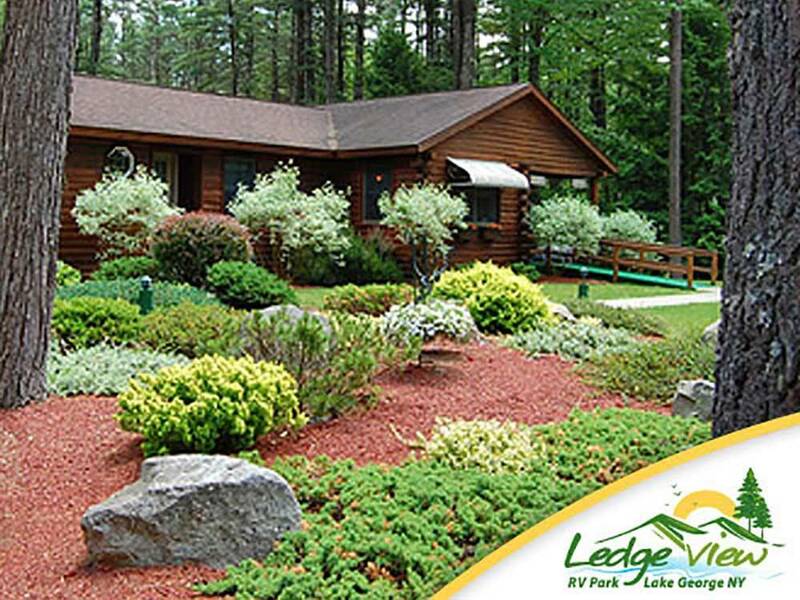 Ledgeview RV Park is your home away from home. Summers are just more fun here and the Lake George area offers adventurous experiences. Enjoy all of this in your own home away from home in one of our rental RV units. We offer the best experience of RV living.